Jason was born and raised in Orange County, California. He moved to northern California to attend law school and now resides in Sacramento. He has a B.A. in philosophy from UCLA and a J.D. from Santa Clara University School of Law. 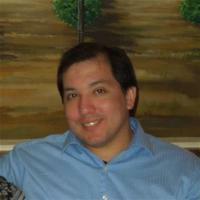 Recently graduated, he excelled at legal research and drafting and has experience in immigration and expungements. He is available to provide assistance for research and writing projects. In his free time, Jason enjoys spending time with this girlfriend, going to the movies, reading, and taking his dog to the dog park. Jason Torres does not have any reviews yet.